I did a version of these last year that never made it to the blog so when I saw Easter on the calendar (it comes so early this year) I knew I wanted to share this project. 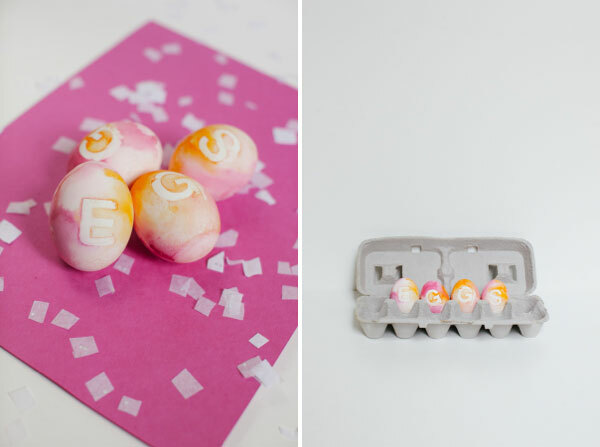 These Watercolor Letter Easter Eggs aren’t only cute and easy to make, they also make a great placecard holder. Display them at your Easter Table or hide them around for friends to find and piece together a secret message. These are GORGEOUS! Awesome tutorial! I’ll definitely be using it! These are absolutely adorable! I know that my nieces and nephews who are just learning to spell their names would get a kick out of these! 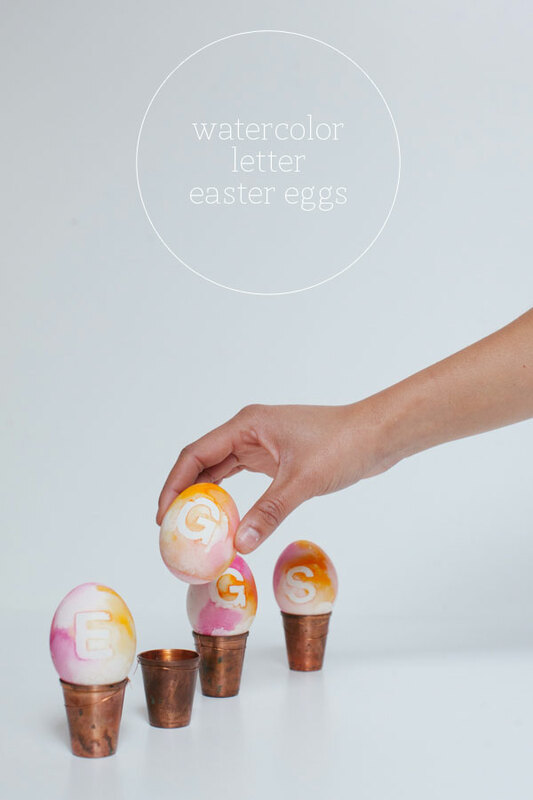 What a pretty idea, do you leave them out until Easter or store them in the fridge? Initials can oftentimes be overdone, but these would make cute little place setting markers. That’s a great idea!!! I’ll try it before Easter! 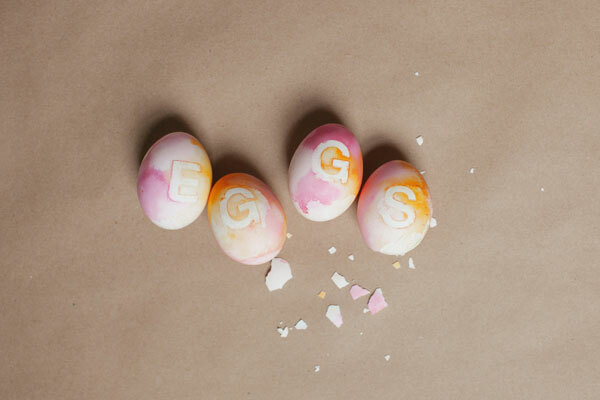 Ok, I thought the Calligraphy Easter Eggs are going to be favorites for this year. But now I’m not sure if I’m maybe going to do this ones. 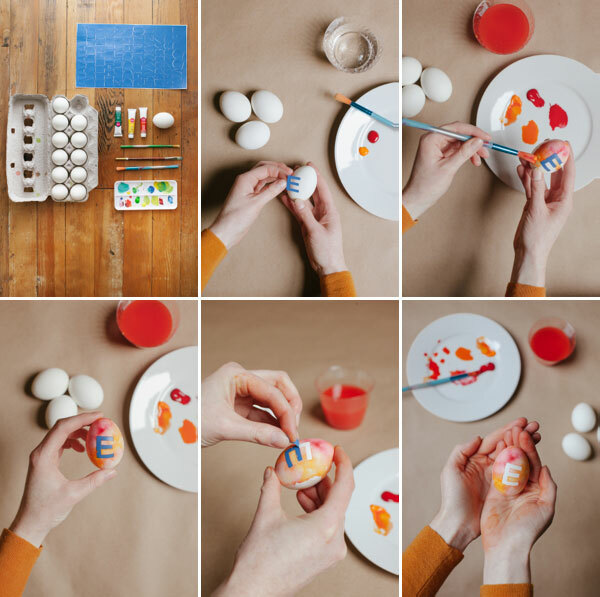 What a gorgeous idea – I’m going to try this for Easter brunch. Thanks for sharing! what a fun (and beautiful!) activity! thanks for the inspiration to try something new and improved for traditional easter egg coloring. thanks! What a pretty and beautiful idea! Those are so adorable! And definitely more fun to make than those you just dump in glasses. 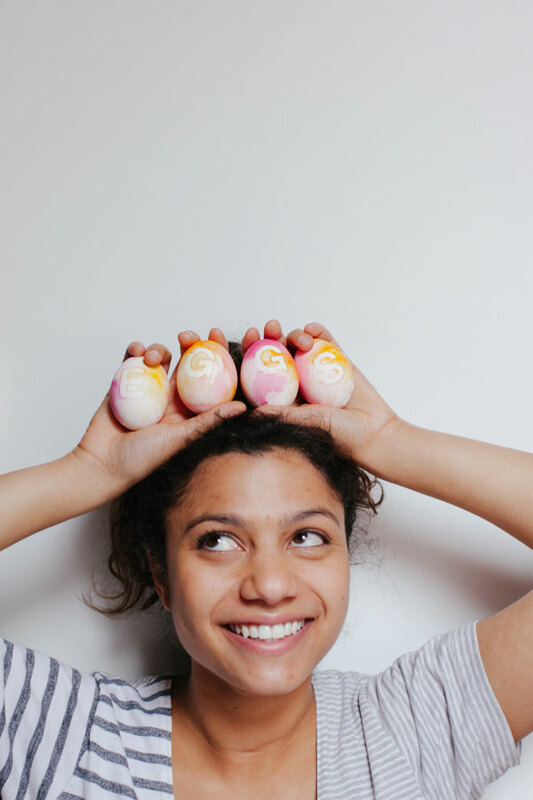 Going to make these with my daughters this Easter, thank you! Is there a way to do this with food-safe colors? Or are these for just looking at?